Richard Oreffo holds the chair of Musculoskeletal Science and is co-founder and Director of the Centre for Human Development, Stem Cells and Regeneration. He has held positions in USA, AstraZeneca, and University of Oxford before being appointed to a lectureship in 1999 at the University of Southampton. Richard is internationally recognised for his work on skeletal biology and the mechanisms involved in skeletal stem cell differentiation and bone regeneration. 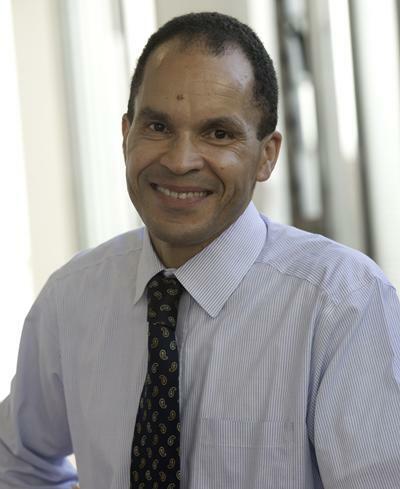 Richard has successfully trained over 41 PhD and MD students since 2002 and as of 2018-19, directly supervises/co-supervises 11 MD/PhD Graduate Fellows. I am particularly interested in the application of bone stem cells and regenerative medicine strategies for the repair and regeneration of damaged skeletal tissue. We have the potential to make a difference through collaborative teams here at the University of Southampton to treat devastating bone conditions. Richard has published over 285 peer-reviewed full papers (H-index 62; >13,750 citations ISI WoS (Oct 2018)), including breakthrough publications on skeletal stem cells and nanotopography, bone regeneration as well as epigenetics in Osteoarthritis, in Nature Materials, ACS Nano, Stem Cells, Small, Arthritis and Rheumatism; holds 6 patents and is co-editor of “Epigenetic aspects of Chronic Diseases” Highly Commended in 2012 BMA Medical Book Awards. Richard serves / has served on a number of Research Council Committees, Industrial committees and international advisory boards and holds a number of visiting professorships. He is a Fellow of the Royal Society of Biology and in 2015 was awarded a DSc by the University of Oxford. In 2017, he founded and is CSO of Renovos Biologics Limited, a spin-out from the University of Southampton – details on Renovos Biologics Limited. The aim of the group is to understand the mechanisms of bone development, growth and regeneration, how these differ in skeletal abnormalities and diseases such as osteoporosis and osteoarthritis, and to what extent bone growth is programmed during fetal life. Thus research in Professor Oreffo’s group is primarily centered on harnessing the potential of skeletal stem cells (whether derived from embryonic or fetal and adult sources) for the development of unique tissue engineering approaches for new cartilage and bone formation for orthopedic application. In parallel we are interested in the role of fetal programming as a consequence of maternal nutritional challenges on bone cell differentiation, activity, potential and bone function with age. The requirement for new bone to replace or restore the function of traumatised or degenerated bone, or for the replacement of lost mineralised tissue as a consequence of increasing age is a major clinical and socio-economic need. To date, bone formation stimulation regimes, although attractive, have yet to demonstrate clinical efficacy. Understanding human skeletal stem cell biology and the development of unique tissue engineering approaches for cartilage and bone formation for orthopaedic application using human skeletal populations and, elucidating the role of fetal programming as a consequence of maternal nutritional challenge on mesenchymal progenitor cell differentiation, activity, potential and bone function with age. This involves drawing together the elements of i) progenitor cell differentiation (specifically the control of mesenchymal stem/progenitor cell differentiation and plasticity), ii) generation of osteoconductive and inductive smart scaffold/materials (including the use of natural biomimetic environments and self -assembling scaffolds with appropriate extracellular matrix cues) and, iii) cell signal/growth factor biology to examine tissue regeneration. Other areas of active research interest within the group include differentiation of pluripotent stem cells along the mesenchymal lineage as well as angiogenesis / revascularisation in tissue development. The group is currently developing translational strategies for clinical application to couple cell technologies with biomimetic scaffolds in close collaboration with groups in the UK as well as international collaborations in Germany, Canada and the USA. v) Modelling of skeletal tissue formation – including gene network analysis as well as tissue growth modelling. Although clinical efficacy has yet to be achieved, development of protocols, new tools and above all multidisciplinary approaches for de novo bone formation that utilise skeletal stem cells offer significant rewards for an increasing aged population both in terms of healthcare costs and, more importantly, improved quality of life. In collaboration with Prof. Cyrus Cooper (MRC Environmental Epidemiology Unit) members of HDH and a number of international collaborators we are investigating, using a variety of animal models, how maternal protein deficiency affects bone growth. Our current ex vivo analysis of bone populations shows an important role of maternal nutrition in subsequent fetal bone development with significant implications in understanding the subsequent development of bone chronic diseases in later life such as osteoarthritis. Promoting tissue regeneration by carrying drugs and molecules directly to stem cells. How does the stiffness of a wound affect how it heals? The healing of a skin wound is a highly co-ordinated series of events involving both biochemical and biomechanical signalling. We are trying to understanding how the mechanical properties of a healing wound affects how it heals. Lanham, S., DuPriest, E., Kupfer, P., Cooper, C., Bagby, S., & Oreffo, R. (Accepted/In press). Altered vertebral and femoral bone structure in juvenile offspring of microswine subject to maternal low protein nutritional challenge. Physiological Reports. Oreffo, R., Mahajan, S., Moura, C., Tare, R., & Bourdakos, K. (Accepted/In press). 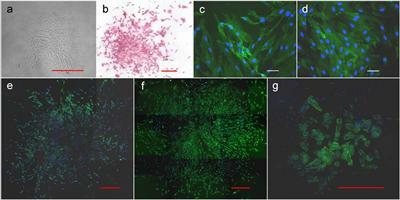 Live-imaging of bioengineered cartilage tissue using multimodal non-linear molecular imaging. Scientific Reports. De Andres Gonzalez, M., Takahashi, A., Hashimoto, K., Itoi, E., Goldring, M., & Oreffo, R. (Accepted/In press). DNA methylation of the RUNX2 P1 promoter mediates MMP13 transcription in chondrocytes. Scientific Reports. Gothard, D., Smith, E. L., Kanczler, J. M., Rashidi, H., Qutachi, O., Henstock, J., ... Oreffo, R. O. C. (2014). Tissue engineered bone using select growth factors: a comprehensive review of animal studies and clinical translation studies in man. European Cells & Materials, 28, 166-208. Smith, E. L., Kanczler, J. M., & Oreffo, R. O. C. (2013). A new take on an old story: chick limb organ culture for skeletal niche development and regenerative medicine evaluation. European Cells & Materials, 26, 91-106. Lanham, S. A., Bertram, C., Cooper, C., & Oreffo, R. O. (2011). Animal models of maternal nutrition and altered offspring bone structure. European Cells & Materials, 22, 321-332. El-Serafi, A. T., Wilson, D. I., Roach, H. I., & Oreffo, R. O. C. (2011). Developmental plasticity of human foetal femur-derived cells in pellet culture: self assembly of an osteoid shell around a cartilaginous core. European Cells & Materials, 21, 558-567.
de Andres, M. C., Imagawa, K., Hashimoto, K., Gonzalez, A., Goldring, M. B., Roach, H. I., & Oreffo, R. O. C. (2011). Suppressors of cytokine signalling (SOCS) are reduced in osteoarthritis. Biochemical and Biophysical Research Communications, 1(407), 54-59. Tare, R. S., & Oreffo, R. O. C. (2010). Application of human follicular dendritic cells (HK) as an experimental model to study osteoblast function. Bone, 47, S132-S133. Andres de, M. C., Imagawa, K., Hashimoto, K., gonzalez, A., Oreffo, R. O. C., & Roach, H. I. (2010). The role of epigenetics in iNos induction in osteoarthritic chondrocytes. Osteoarthritis and Cartilage, 18, S167. Khan, F., Tare, R. S., & Oreffo, R. O. C. (2009). Polymer microarrays – a high-throughout approach to the identification and selection of tissue engineering scaffolds. European Cells & Materials, 18, 69. Pollintine, P., Barrett, G. W., Millais, I. E., Green, L. R., Cooper, C., Lanham, S. A., ... Dolan, P. (2008). Early nutritional compromise affects the mechanical properties of sheep spines. Journal of Bone and Joint Surgery, 90B(Supplement 2), 373-374. Kanczler, J. M., & Oreffo, R. O. C. (2008). 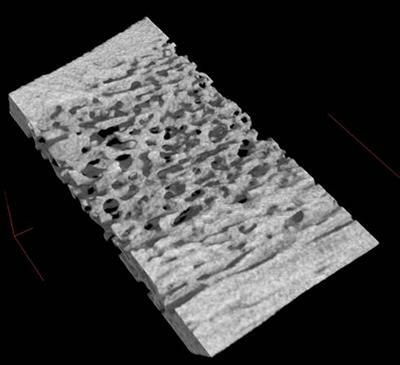 Osteogenesis and angiogenesis: the potential for engineering bone. European Cells & Materials, 15, 100-114. Pollintine, P., Cooper, I., Anderson, H. L., Green, L. R., Cooper, C., Lanham, S. A., ... Dolan, P. (2008). The influence of early nutritional compromise on bone structure and strength. Journal of Bone and Joint Surgery, 90-B(Supp II), p.392. Bolland, B. J., Tilley, S., New, A. M., Dunlop, D. G., & Oreffo, R. O. (2007). Adult mesenchymal stem cells and impaction grafting: a new clinical paradigm shift. Expert Review of Medical Devices, 4(3), 393-404. Tare, R. S., Townsend, P. A., Packham, G. K., Inglis, S., & Oreffo, R. O. C. (2007). BCL-2-associated athanogene-1: A transcriptional regulator mediating chondrocyte survival and differentiation during endochondral ossification. Journal of Bone and Mineral Research, 22(7), p.1129. Dawson, J. I., Wahl, D. A., Caernuszka, J. T., & Oreffo, R. O. C. (2007). Biomimetic collagen-Hydroxyapatite composite scaffolds for osteo and chondrogenic conduction of STRO-1 immunoselected Human Bone Marrow Stromal Cells. Tissue Engineering, 13(7). Tare, R. S., Forsey, R. W., Chaudhuri, J. B., & Oreffo, R. O. C. (2007). Engineering carilaginous explants using human stro -1+ pregenitors, alginate scaffolds and perfusion bioreactors. Tissue Engineering, 13(7). Heyde, M., Partridge, K. A., Oreffo, R. O. C., Howdle, S. M., Shakesheff, K. M., & Garnett, M. C. (2007). Gene therapy used for tissue engineering applications. Journal of Pharmacy and Pharmacology, 59(3), 329-350. Lanham, S. A., Roberts, C., Perry, M. J., Oreffo, R. O. C., & Cooper, C. (2007). Intrauterine programming of bone-deleterious effects of a low protein diet in late adulthood on the osteogenic environment. Journal of Bone and Mineral Research, 22(7). Bolland, B. J., Kanczler, J., Ginty, P., Shakesheff, K. M., Dunlop, D. G., & Oreffo, R. O. C. (2007). 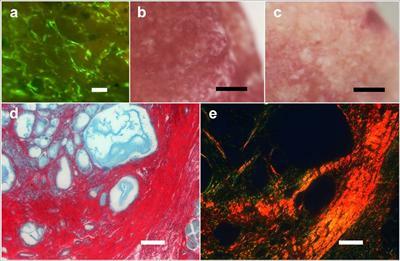 Poly lactic acid scaffold augmented with human bone marrow stromal cells as a bone graft extender in impaction brone grafting. Tissue Engineering, 13(7), p.1742. Tare, R., Khan, F., Tourniaire, G., Morgan, S. M., Bradley, M., & Oreffo, R. O. C. (2007). Selection of human mesenchymal osteoprogenitors from bone marrow stromal cell populations using polymer microarrays. Tissue Engineering, 13(7), p.1754. Kanczler, J. M., Barry, J., Ginty, P., Howdle, S. M., Shakesheff, K. M., & Oreffo, R. O. (2007). Supercritical carbon dioxide generated vascular endothelial growth factor encapsulated poly(DL-lactic acid) scaffolds induce angiogenesis in vitro. Biochemical and Biophysical Research Communications, 352(1), 135-141. Oreffo, R. O. (2006). 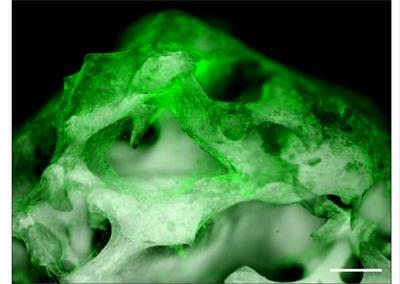 Bone tissue engineering - from cells, mice to man - bridging the gap. Bio materialien, 7(Supplement 1). Roach, H. I., Inglis, S., Partridge, K., Oreffo, R., & Clarke, N. M. P. (2006). Can epigenetic changes in DNA metylations explain the altered gene expression in osteoarthritis? Journal of Bone and Joint Surgery, 88-B(Supplement III), 385-386. Partridge, K., Heyde, M., Garnett, M., Howdle, S. M., Shakesheff, K., & Oreffo, R. (2006). Cloning and expression of human BMP-2 potential for use in skeletal tissue engineering. Journal of Bone and Mineral Research, 21(7). Yamada, N., Cheung, K. S. C., Tilley, S., Clarke, N. M. P., Oreffo, R. O. C., Kokobun, S., ... Roach, H. I. (2006). Does epigenetics play a role in the pathology of osteoarthritis? Journal of Bone and Joint Surgery, 88-B(Supplement III), p.403. Tare, R. S., Townsend, P. A., Packham, G., & Oreffo, R. O. C. (2006). Insight into the function of Bcl-2-associated athanogene-1 anti-apoptotic protein during chondrocyte development and differentiation. Journal of Bone and Mineral Research, 21(7), p.1150. Kanczler, J., Barry, J., Ginty, P., Sebald, W., Howdle, S., Shakesheff, K., & Oreffo, R. O. (2006). New scaffolds for skeletal regeneration stimulating angiogenesis and osteogenesis. Journal of Bone and Mineral Research, 21(7), p.1153. Berry, C. C., Dalby, M. J., Oreffo, R. O., McCloy, D., & Affrosman, S. (2006). The interaction of human bone marrow cells with nanotopographical features in three dimensional constructs. Journal of Biomedical Materials Research Part A, 79(2), 431-439. Partridge, K. A., & Oreffo, R. O. C. (2004). Gene delivery in bone tissue engineering: progress and prospects using viral and nonviral strategies. Tissue Engineering, 10(1-2), 295-307. Oreffo, R. O. C. (2004). Growth factors for skeletal reconstruction and fracture repair. Current Opinion in Investigational Drugs, 5(4), 419-423. Green, D. W., Howard, D., Yang, X., Kelly, M., & Oreffo, R. O. C. (2003). Natural marine sponge fiber skeleton: a biomimetic scaffold for human osteoprogenitor cell attachment, growth, and differentiation. Tissue Engineering, 9(6), 1159-1166. Roach, H. I., Mehta, G., Oreffo, R. O. C., Clarke, N. M. P., & Cooper, C. (2003). Temporal analysis of rat growth plates: cessation of growth with age despite presence of a physis. Journal of Histochemistry and Cytochemistry, 51(3), 373-383. Locklin, R. M., Oreffo, R. O., & Triffitt, J. T. (1999). Effects of TGF? and bFGF on the differentiation of human bone marrow stromal fibroblasts. Cell Biology International, 23(3), 185-194. Oreffo, R. O., & Triffitt, J. T. (1999). Future potentials for using osteogenic stem cells and biomaterials in orthopedics. Bone, 25, 5S-9S. Zambonin, G., Grano, M., Greco, G., Oreffo, R. O. C., & Triffitt, J. T. (1999). Hydroxyapatite coated with insulin-like growth factor-1 (IGF-1) stimulates human osteoblast activity in vitro. Acta Orthopaedica Scandinavica, 70(2), 217-220. Oreffo, R. O. C., & Triffitt, J. T. (1999). In vitro and in vivo methods to determine the interactions of osteogenic cells with biomaterials. Journal of Materials Science: Materials in Medicine, 10(10/11), 607-611. Virdi, A. S., Shore, E. M., Oreffo, R. O., Li, M., Connor, J. M., Smith, R., ... Triffitt, J. T. (1999). Phenotypic and molecular heterogeneity in fibrodysplasia ossificans progressiva. Calcified Tissue International, 65(3), 250-255. Virdi, A., Cook, L., Oreffo, R., & Triffitt, J. (1998). Modulation of bone morphogenetic protein-2 and bone morphogenetic protein-4 gene expression in osteoblastic cell lines. Cellular and Molecular Biology, 44(8), 1237-1246. Oreffo, R. O. C., Bord, S., & Triffitt, J. T. (1998). Skeletal progenitor cells and ageing human populations. Clinical Science, 94(5), 549-555. Inui, K., Oreffo, R. O., & Triffitt, J. T. (1997). Effects of beta mercaptoethanol on the proliferation and differentiation of human osteoprogenitor cells. Cell Biology International, 21(7), 419-425. Bonewald, L. F., Oreffo, R. O., Lee, C. H., Park-Snyder, S., Twardzik, D., & Mundy, G. R. (1997). Effects of retinol on activation of latent transforming growth factor-? by isolated osteoclasts. Endocrinology, 138(2), 657-666. Oreffo, R. O., Virdi, A. S., & Triffitt, J. T. (1997). Modulation of osteogenesis and adipogenesis by human serum in human bone marrow cultures. European Journal of Cell Biology, 74(3), 251-261. Price, J. S., Oyajobi, B. O., Oreffo, R. O., & Russell, R. G. (1994). Cells cultured from the growing tip of red deer antler express alkaline phosphatase and proliferate in response to insulin-like growth factor-I. Journal of Endocrinology, 143(2), R9-R16. Oreffo, R. O., Marshall, G. J., Kirchen, M., Garcia, C., Gallwitz, W. E., Chavez, J., ... Bonewald, L. F. (1993). Characterization of a cell line derived from a human giant cell tumor that stimulates osteoclastic bone resorption. Clinical Orthopaedics and Related Research, 296, 229-241. Bonewald, L. F., Wakefield, L., Oreffo, R. O., Escobedo, A., Twardzik, D. R., & Mundy, G. R. (1991). Latent forms of transforming growth factor-? (TGF?) derived from bone cultures: identification of a naturally occurring 100-kDa complex with similarity to recombinant latent TGF? Molecular endocrinology, 5(6), 741-751. Oreffo, R. O., Bonewald, L., Kukita, A., Garrett, I. R., Seyedin, S. M., Rosen, D., & Mundy, G. R. (1990). Inhibitory effects of the bone-derived growth factors osteoinductive factor and transforming growth factor-? on isolated osteoclasts. Endocrinology, 126(6), 3069-3075. Teti, A., Oreffo, R. O., zambonin-Zallone, A., Triffitt, J. T., & Francis, M. J. (1986). Acid phosphatase activity is stimulated in isolated osteoclasts by vitamin A. Bollettino della Società Italiana di Biologia Sperimentale, 62(10), 1311-1314. Teti, A., Oreffo, R. O., Zambonin Zallone, A., Triffitt, J. T., & Francis, M. J. (1986). The effect of retinol on osteoclasts is mediated by a specific cytosolic binding protein. Bollettino della Società Italiana di Biologia Sperimentale, 62(10), 1315-1319. Oreffo, R. O. C., francis, J. A., & Triffitt, J. T. (1985). Vitamin A effects on UMR 106 osteosarcoma cells are not mediated by specific cytosolic receptors. Biochemical Journal, 232(2), 599-603. Danoux, C., Tare, R. S., Smith, J., Bradley, M., Hunt, J. A., Oreffo, R. O. C., & Habibovic, P. (2013). Development of materials for regenerative medicine: from clinical need to clinical application. In J. de Boer, & C. van Blitterswijk (Eds. ), Materiomics: High Throughput Screening of Biomaterial Properties (pp. 155-175). Cambridge, GB: Cambridge University Press. Heath, D., Mills, B., Grant-Jacob, J., Eason, R., Feinäugle, M., Oreffo, R., & Goriainov, V. (2017). Digital micromirror device-based adaptive optics approach for enhanced micro-machining fidelity. Paper presented at Emerging Digital Micromirror Device Based Systems and Applications IX, United States. Vaezi, M., Yang, S., Black, C., Gibbs, D., & Oreffo, R. O. C. (2014). Extrusion freeformed integrated synthetic bone graft and fracture fixation system. International Conference on Progress in Additive Manufacturing (Pro-AM 2014), Singapore. Sengers, B. G., Please, C. P., Taylor, M., & Oreffo, R. O. C. (2009). Experimental-computational evaluation of human bone marrow stromal cell migration on trabecular bone structures. In P. J. Bartolo, P. R. Fernandes, R. B. Ruben, J. Folgado, H. Almeida, N. Alves, & A. Mendes (Eds. ), Proceedings of ICTE2009 International Conference on Tissue Engineering (pp. 119-122). (ECCOMAS thematic conference). Lisbon, Portugal: IST Press. Roach, H. I., Yamanda, N., Hashimoto, K., Cheung, K. S., Oreffo, R. O., Kokubun, S., & Bronner, F. (2006). Epigenetics of osteoarthritis: is DNA Dmethylation involved in the pathogenesis of the disease?. Poster session presented at Bone Research Society and British Orthopaedic Research Society 1st Joint Meeting, . Lanham, S., Roberts, C., Perry, M. J., Cooper, C., & Oreffo, R. O. C. (2006). Intrauterine programming of skeletal development: a longitudinal study. Poster session presented at Bone Research Society Annual Meeting 2006, . Bolland, B. J. R. F., Partridge, K., New, A. M. R., Dunlop, D. G., & Oreffo, R. O. C. (1970). Augmentation of allograft with human bone marrow stromal cells: validation of cell survival, proliferation, osteogenic phenotype and mechanical strength. Paper presented at 1st Joint Meeting of the Bone Research Society and the British Orthopaedic Research Society, . Bolland, B. J. R. F., New, A. M. R., Oreffo, R. O. C., & Dunlop, D. G. (1970). Augmentation of biological and mechanical properties of allograft in impaction bone grafting. Paper presented at Engineers and Surgeons: Joined at the Hip, . Bolland, B. J. R. F., New, A. M. R., Oreffo, R. O. C., & Dunlop, D. G. (1970). Improving both the biological and mechanical properties of allograft in impaction bone grafting: a role for human bone marrow stromal cells. Paper presented at 8th European Fedaration of National Associations of Orthopaedics and Traumatology Congress, . Bolland, B. J. R. F., New, A. M. R., Oreffo, R. O. C., & Dunlop, D. G. (1970). The role of vibration in impaction bone grafting. Paper presented at Engineers and Surgeons: Joined at the Hip, . Bolland, B. J. R. F., New, A. M. R., Oreffo, R. O. C., & Dunlop, D. G. (1970). The role of vibration in impaction bone grafting: reducing the risk of fracture and improving bone graft strength. Paper presented at Meeting of the Orthopaedics Section of the Royal Society of Medicine, . Bolland, B. J. R. F., New, A. M. R., Oreffo, R. O. C., & Dunlop, D. G. (1970). The use of vibration-assisted graft compaction in impaction bone grafting. Reducing the risk of fracture whilst improving bone graft strength. Poster session presented at 8th European Federation of National Associations of Orthopaedics and Traumatology Congress, . Bolland, B. J. R. F., New, A. M. R., Oreffo, R. O. C., & Dunlop, D. G. (1970). The use of vibration-assisted graft compaction in impaction bone grafting: improvement in bone graft strength without increased risk of fracture. Poster session presented at 1st Joint Meeting of the Bone Research Society and the British Orthopaedic Research Society, . Bolland, B. J. R. F., New, A. M. R., Oreffo, R. O. C., & Dunlop, D. G. (1970). Vibration assisted femoral impaction bone grafting: reducing the risk of fracture whilst improving bone graft strength. Paper presented at British Hip Society: Annual Meeting, . BM5 Year 4. Delivery of on-going lectures to groups of undergraduate students studying Orthopaedics and Rheumatology. Specific lectures given on metabolic bone disease and basic bone biology. BM4 Year 1. Provides tutorial to year 1 BM4 students on Bone Physiology.